Q: Hi, for seven years, I was made to believe that I was the father of a child, but I have doubts. What can I do? The cost as of now is $500 per swab. So, as father, that’s $1000 (baby and yourself). The test involves Macroscopic and DNA analyses. 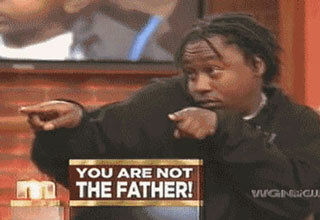 · If the tests prove that you are not the father and your name is not on the birth certificate, you’re fine. · If the tests prove that you are not the father and your name is on the birth certificate, you will have to visit an Attorney to apply for a court order to have it removed (important to have done). Based on my experience in the legal profession, I would advise any man with just an ounce of doubt to get this test done. Hi, since 2014 I've been awaiting a judgement for decree absolute, child and property settlement. The other party refuses to settle. Is there anything I can do to speed up the process? Thank you. On this site, I provide information. I did the paternity test through court and it came out am not the father, how do i remove my name from the birth certificate. Good day can I make an appointment to see you? I'm looking for the contact information on the site, could you direct to where it is, please. My ex employer n I met with the Officer at the Ministry of Labour for a conciliation meeting. However my ex employer decided he wanted to go to court.Socwe are awaiting further contact from the ministry. Thanks so much Mr.Broome,because of you I feel liberated to get an opportunity for my voice to be heard in this matter.